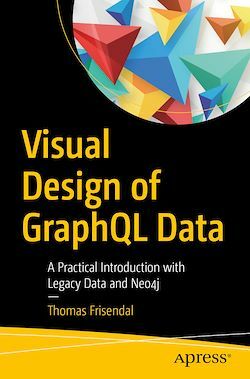 Get an introduction to the visual design of GraphQL data and concepts, including GraphQL structures, semantics, and schemas in this compact, pragmatic book. In it you will see simple guidelines based on lessons learned from real-life data discovery and unification, as well as useful visualization techniques. These in turn help you improve the quality of your API designs and give you the skills to produce convincing visual communications about the structure of your API designs. Finally, Visual Design of GraphQL Data shows you how to handle GraphQL with legacy data as well as with Neo4j graph databases. Spending time on schema quality means that you will work from sharper definitions, which in turn leads to greater productivity and well-structured applications. Web developers and data architects who work with GraphQL and other APIs to build modern applications.